We know that smart shoppers can find a great deal on a new or gently used car, but if you’re in the market for luxury vehicles in Michigan, we think that Acura is the brand for you. 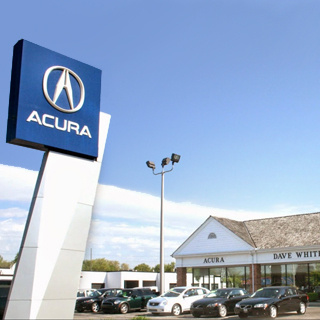 Dave White Acura is located right by the border of Ohio and Michigan in Sylvania and stocks the full lineup of new Acura models as well as a diverse selection of pre-owned vehicles. As a full-service Michigan Acura dealer, we handle auto financing, maintenance, and repair on-site, and if you’re looking for parts or accessories, we are your source for the Acura brand. You can find our sales staff here six days a week at 5868 Monroe Street in Sylvania, Ohio; stop by today to let us help you find your next luxury car or crossover.